Posted by twilightandreason in African American Professors, Annapolis, Black Faculty, Black Students, Bruce Grooms, Higher Education, Janie L. Mines, John Henry Conyers, John McCain, Samuel Massie, U.S. Naval Academy, Wesley Brown. In honor of primary season I’ve decided — at least momentarily — to focus my Black Milestones in Higher Education series on the undergraduate alma maters of the major presidential candidates up for nomination. The series begins with the U.S. Naval Academy (Annapolis), the undergraduate alma mater of Republican front runner John McCain. History and Overview: The United States Naval Academy was founded in 1845 by then Secretary of the Navy George Bancroft. Called the Naval School and located on ten acres of land in Annapolis, Maryland, it enrolled 50 students, taught by 7 professors. In 1850, the institution changed its name to the U.S. Naval Academy and added hands-on maritime training to its curriculum. Between 1872 and 1949, six Black male students enrolled at the academy, but it was not until the latter year that the Academy saw its first African American graduate. The academy enrolled its first women students in 1976, and saw its first Black female graduate in 1981. Today the U.S. Naval Academy enrolls over 4000 students. Out of the 1227 students who matriculated in the fall of 2007, only 69 were African American. 1872 — John Henry Conyers becomes the first African American to enroll in the U.S. Naval Academy. Conyers experiences shunning from the other cadets and leaves the academy the following year due to academic difficulties. 1941 — Black Harvard University lacrosse player Lucien V. Alexis, Jr. is forced to sit on the sidelines during at game against Navy because the academy does not permit Black people on its playing fields. 1949 — Wesley A. Brown becomes the first African American to graduate from the U.S. Naval Academy. 1966 — Professor Samuel P. Massie, Jr joins the Department of Chemistry to become the first African American faculty member at the U.S. Naval Academy. 1976 — Janie L. Mines becomes the first African American woman to enter the U.S. Naval Academy. She is the sole African American out of 81 women admitted during this, the first year that the Academy opens its doors to women. 1981 — Janie L. Mines becomes the first African American woman to graduate from the U.S. Naval Academy. 2005 — Rear Admiral Bruce Grooms, a 1980 Annapolis graduate, becomes the first African American Commandant of the U.S. Naval Academy, and the highest ranking African American in the history of the institution. At the time that he became Commandant, Rear Admiral Grooms held the rank of Captain. 2006 — The U.S. 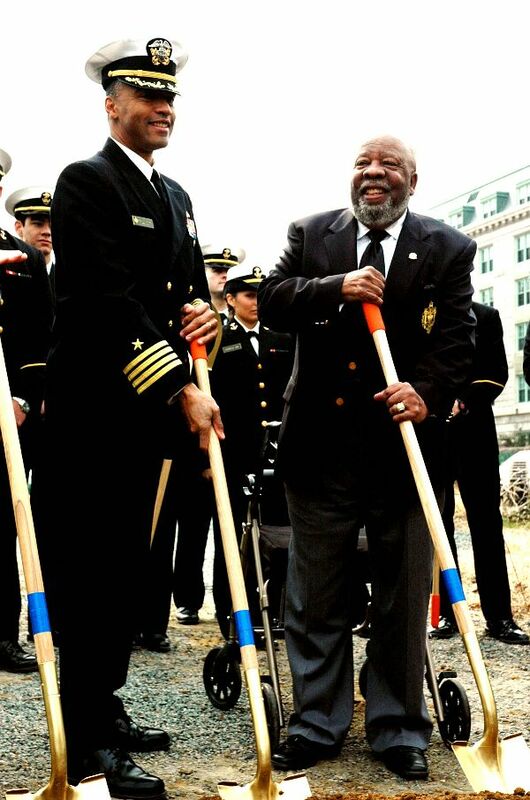 Naval Academy breaks ground on the Wesley Brown Field House, named in honor its first African American graduate. The field house is a 140,000 square foot atheltic facility. Then Captain Bruce Grooms, the first African American Commandant of the U.S. Naval Academy, and Wesley A. Brown, the first African American to graduate from the U.S. Naval Academy, break ground on the Wesley Brown Field House. in 2010 and will be searching for a repeat in 2014. So it ought to be a shut pair of matches between those two nations. in your kitchen and bathroom – it’s natural, works well and is a lot more cost effective. well as au couples to care for their kids.